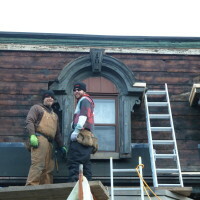 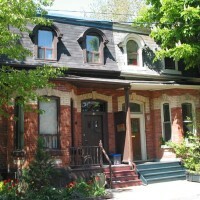 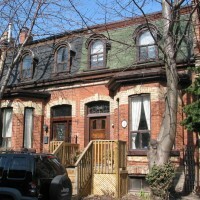 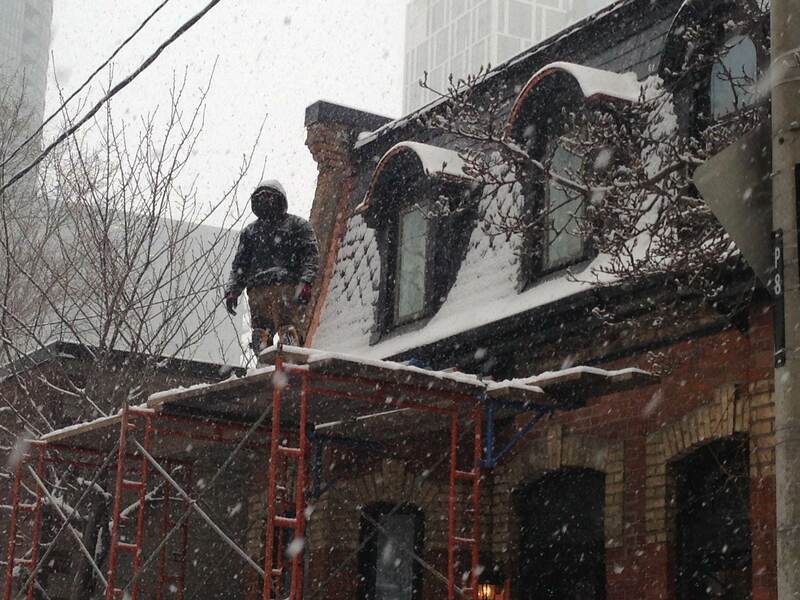 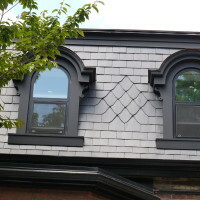 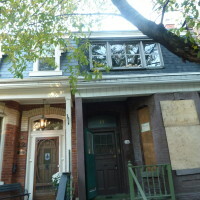 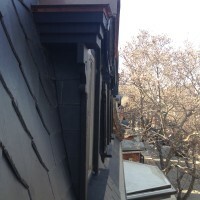 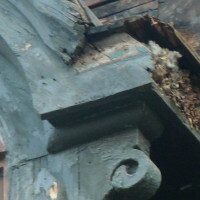 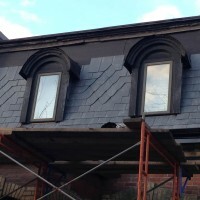 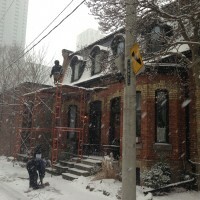 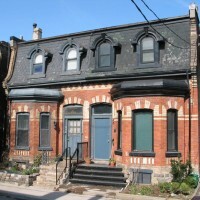 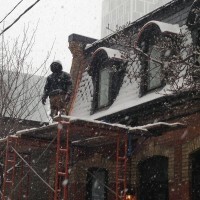 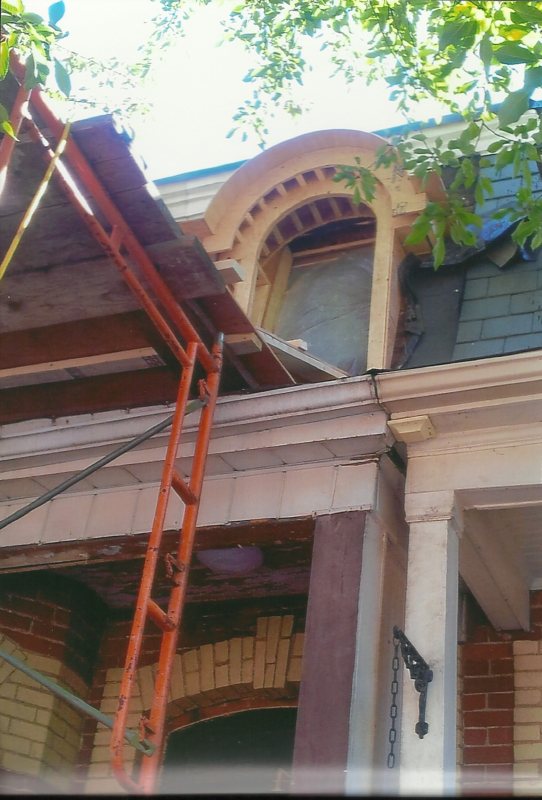 Restoration of a hidden treasure – Draper Street, Toronto. 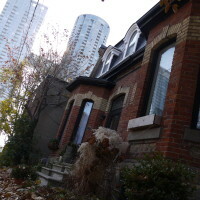 Draper Street, Toronto is a hidden gem tucked away between Bathurst and Spadina on Front St West. 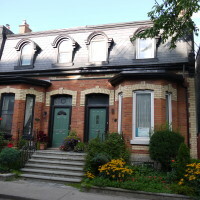 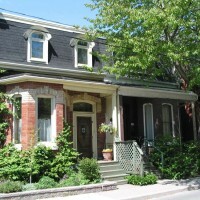 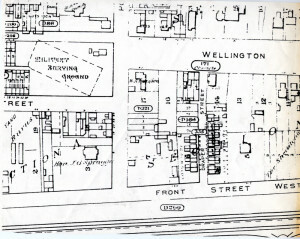 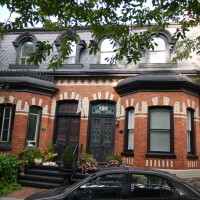 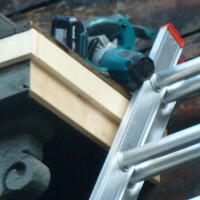 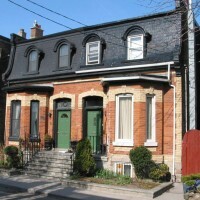 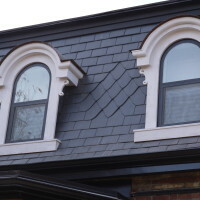 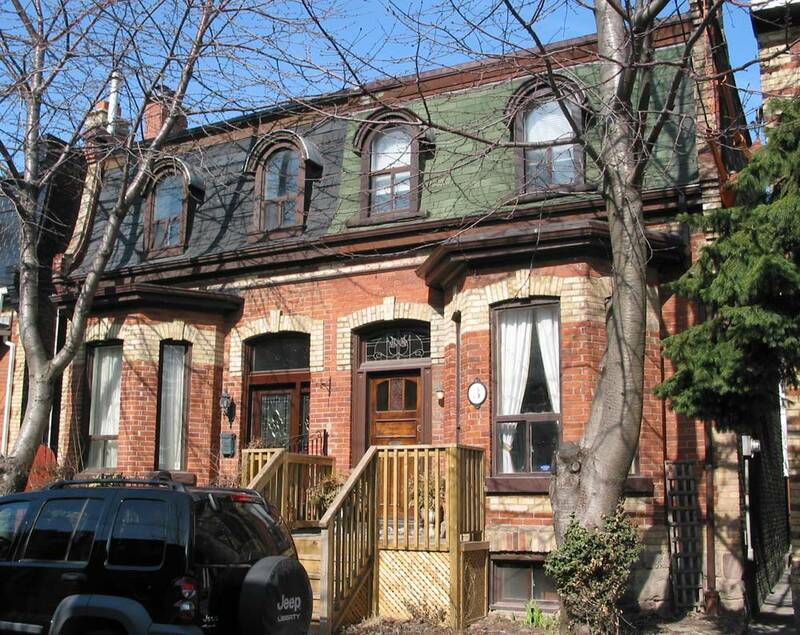 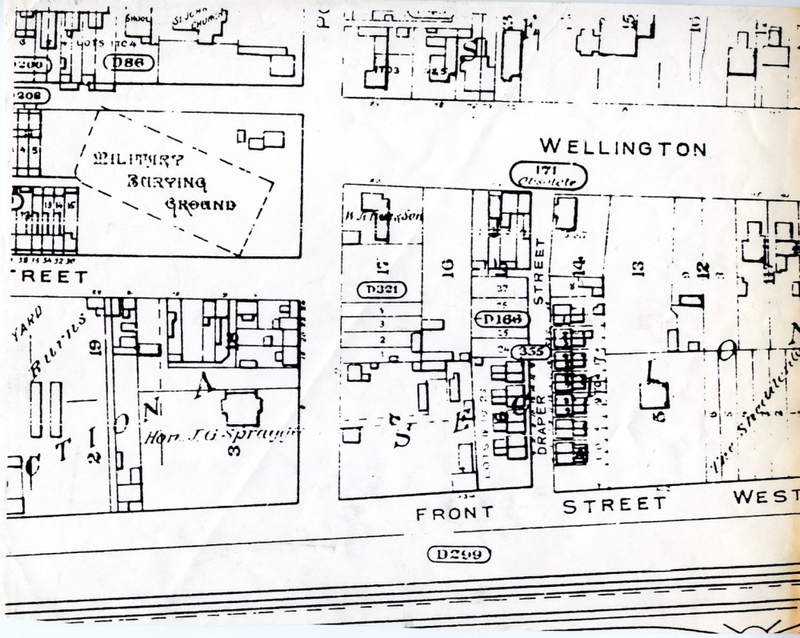 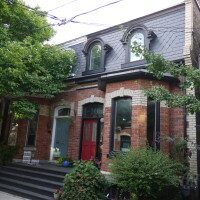 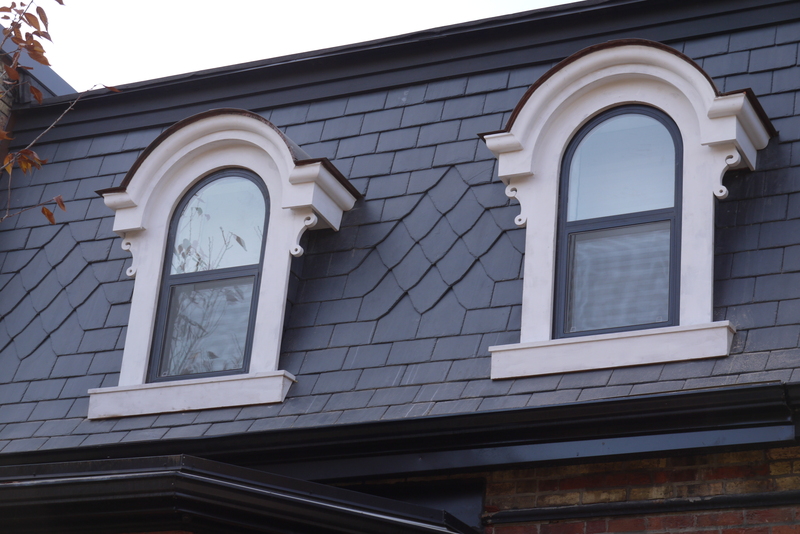 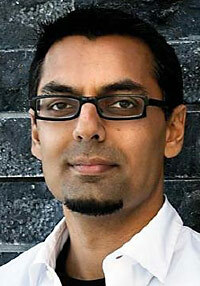 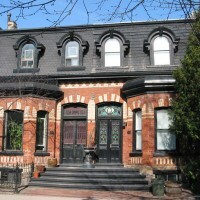 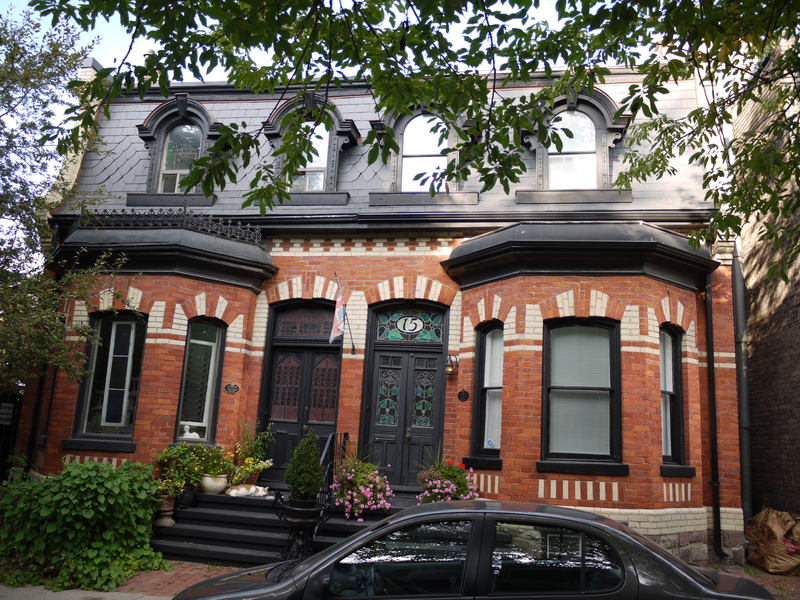 It’s history dates back to 1881, when many of the Second Empire Victorian homes were first constructed. 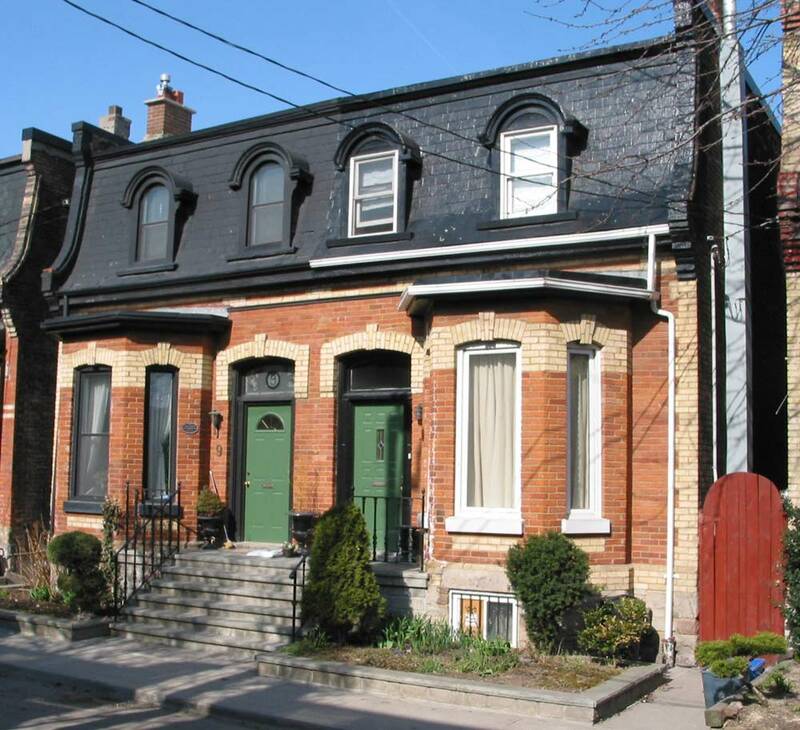 Although the street was first built for labourers working in the railway lands, it has evolved considerably during the past century. 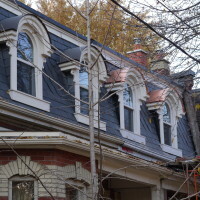 Each year more and more of the residents of this charming street have employed us at AE & Son to restore their slate and copper mansard roofs, porches and to restore and rebuild their heritage detailed dormers and windows. 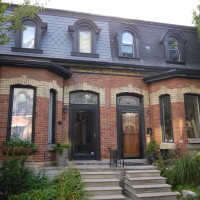 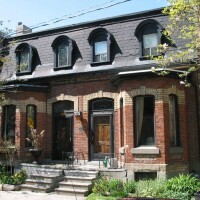 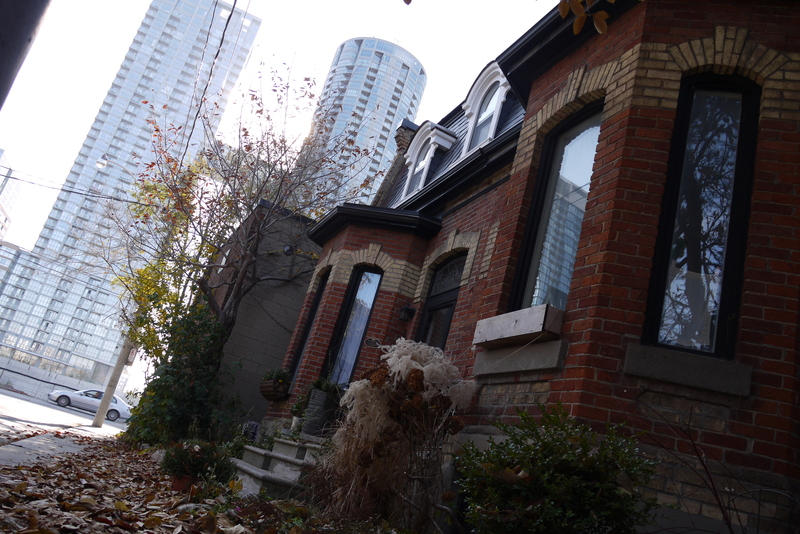 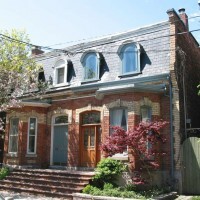 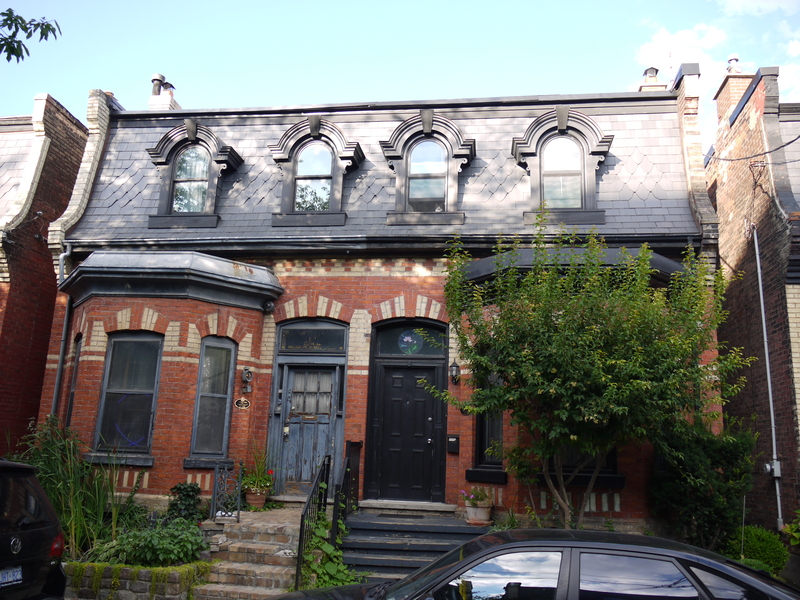 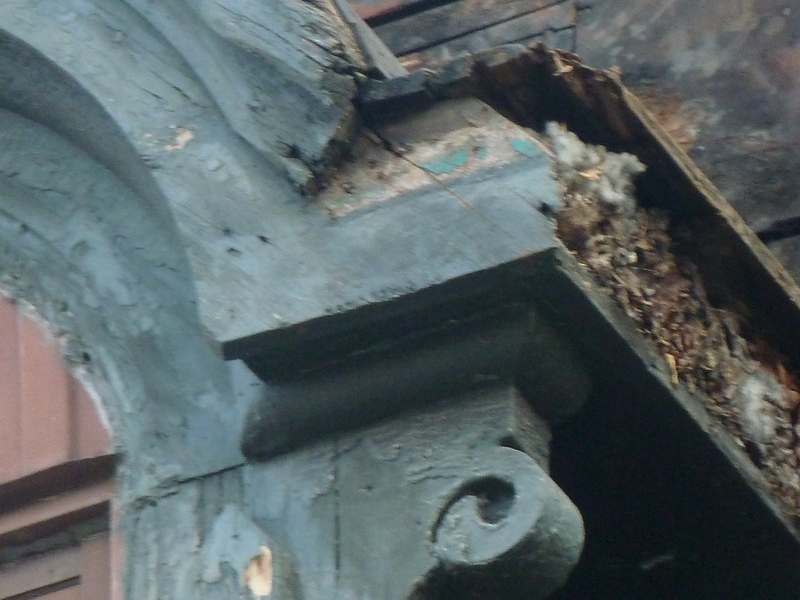 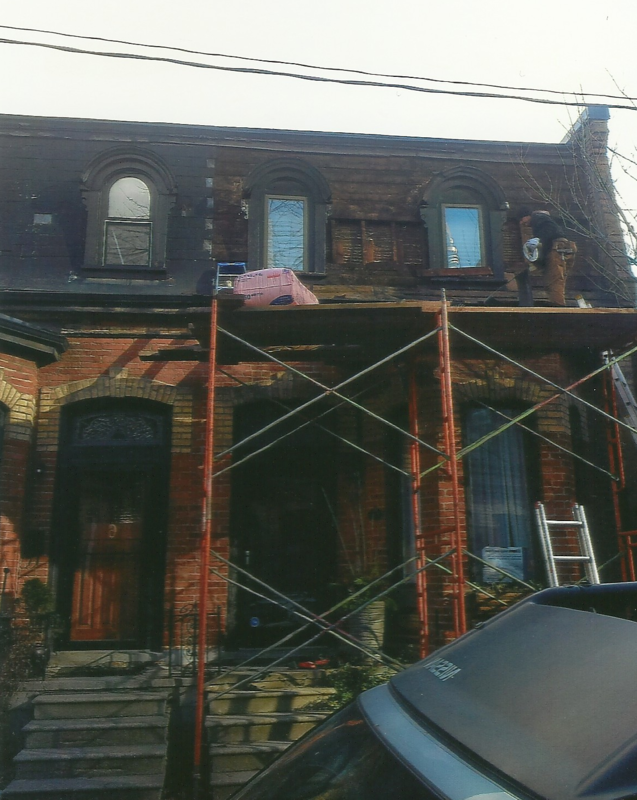 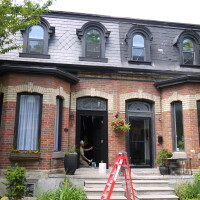 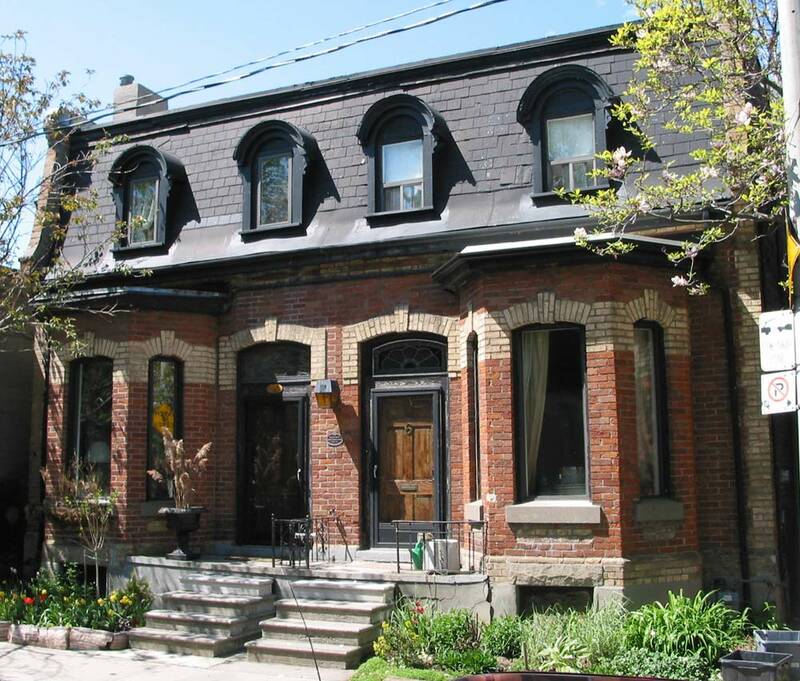 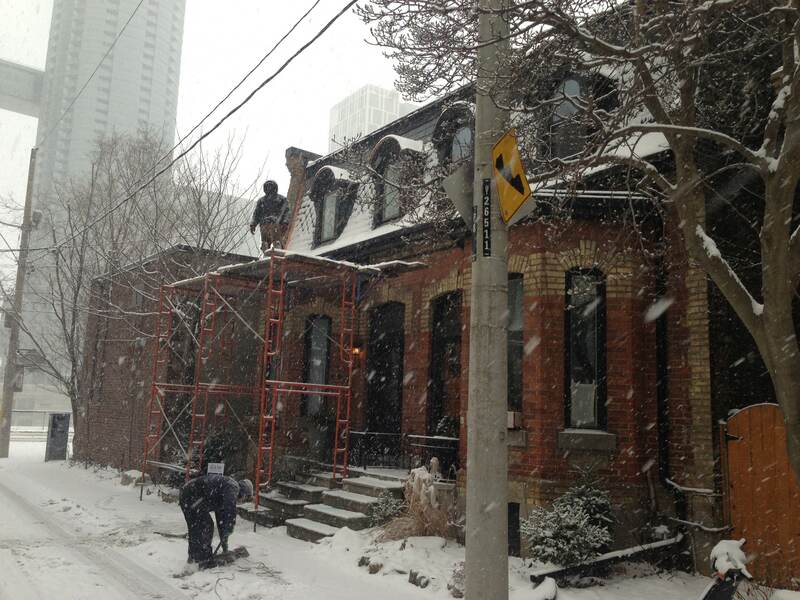 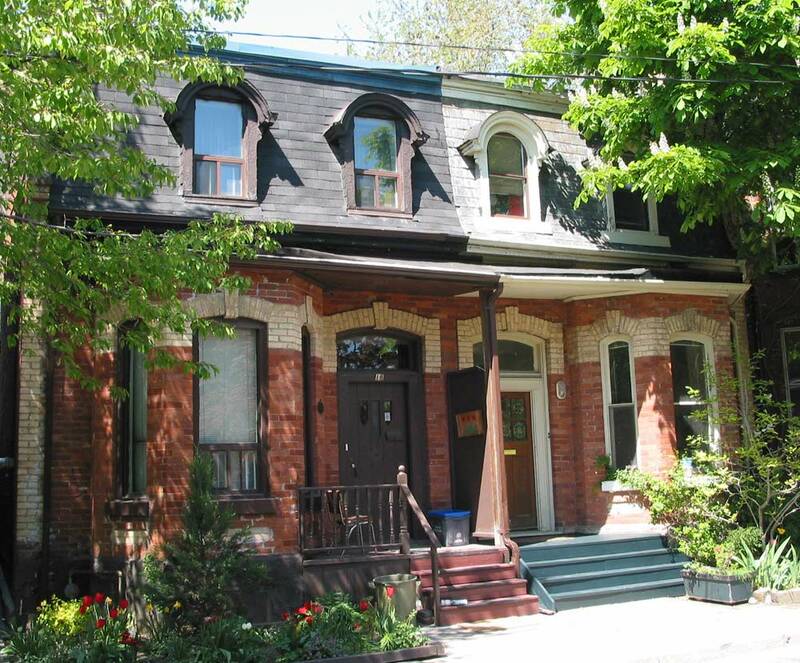 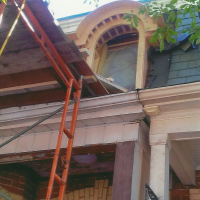 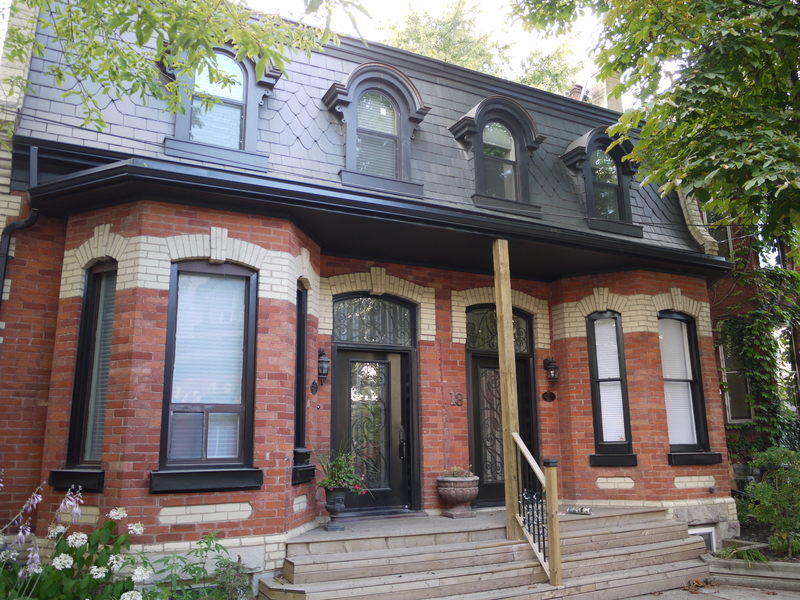 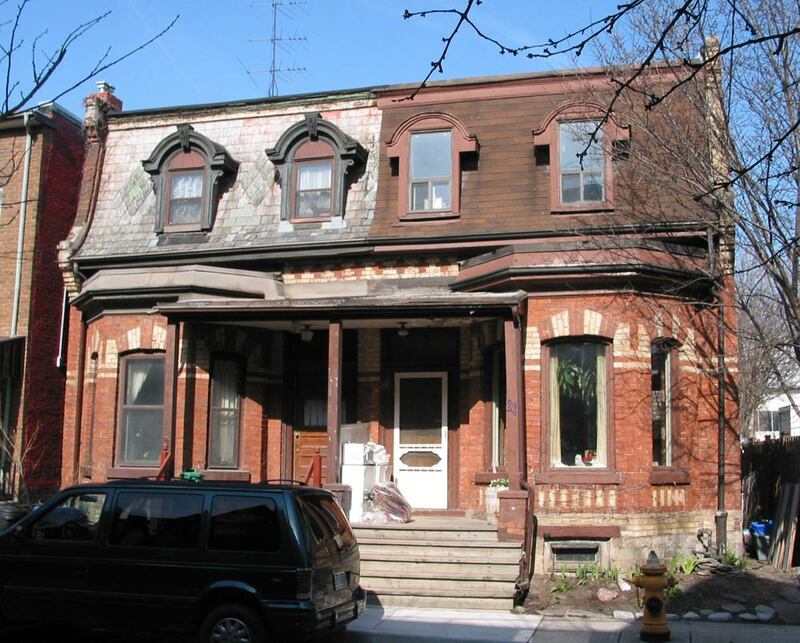 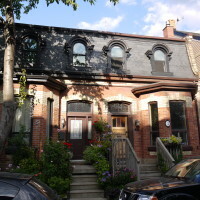 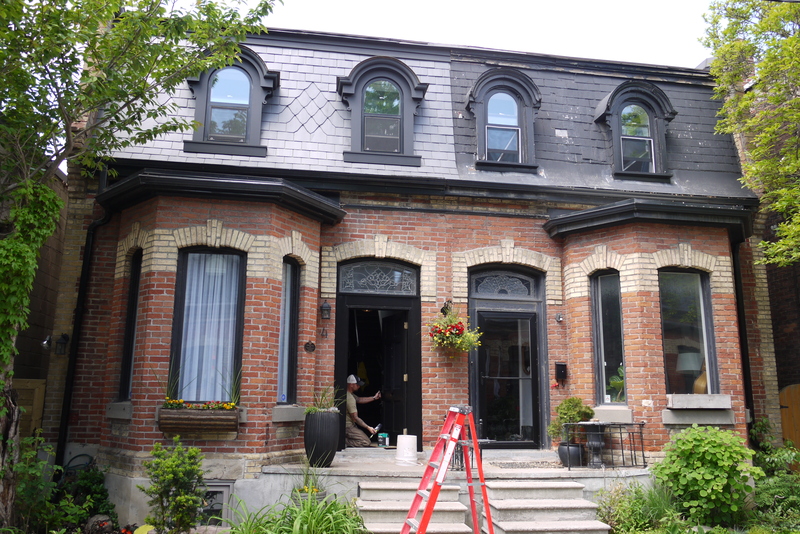 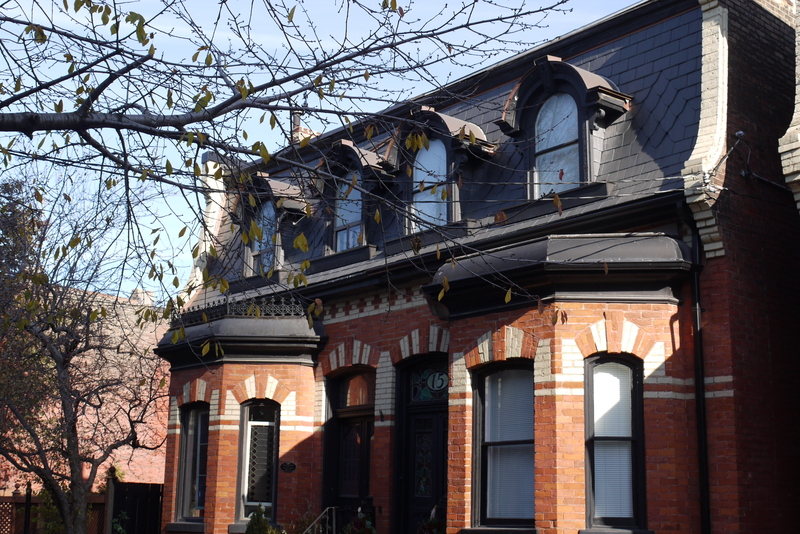 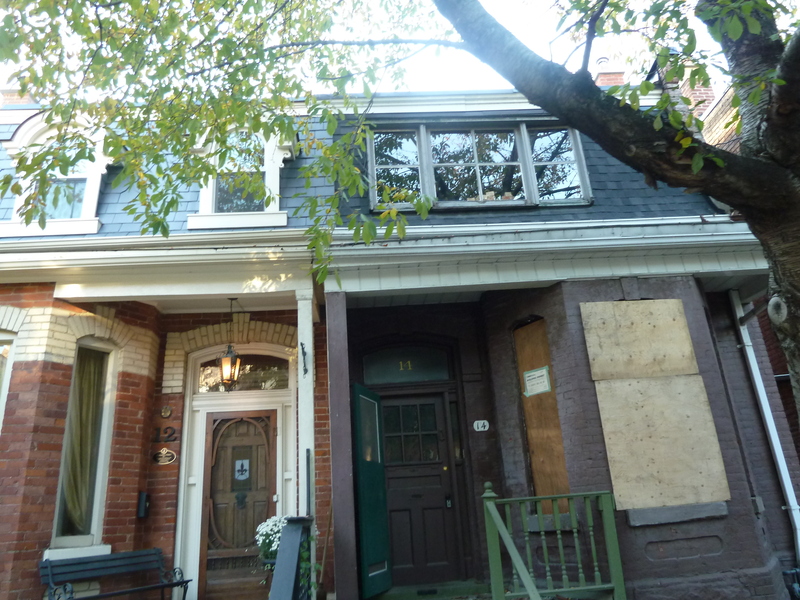 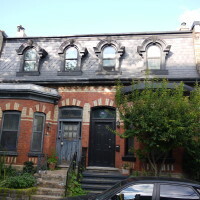 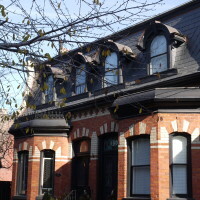 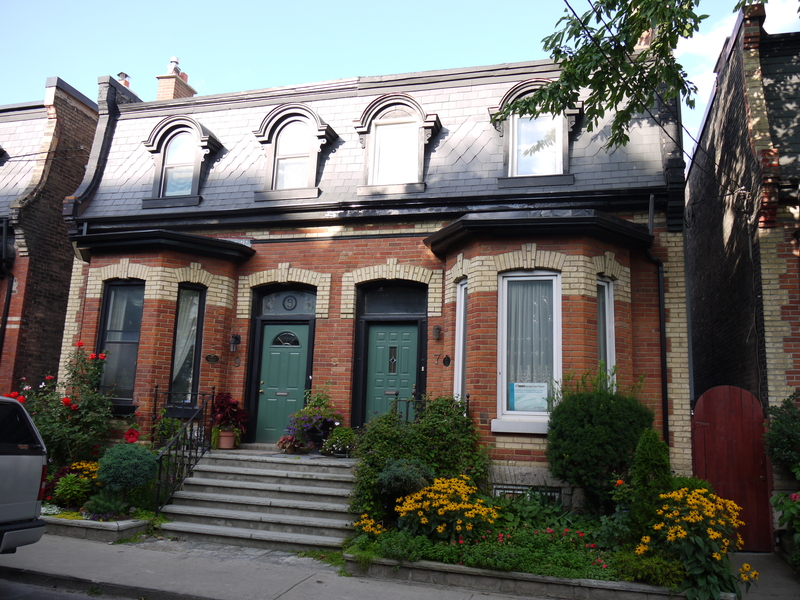 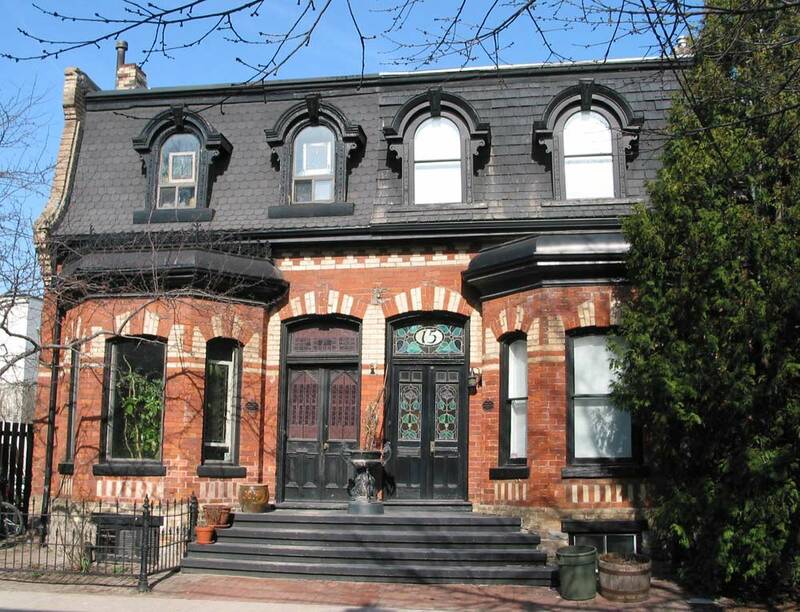 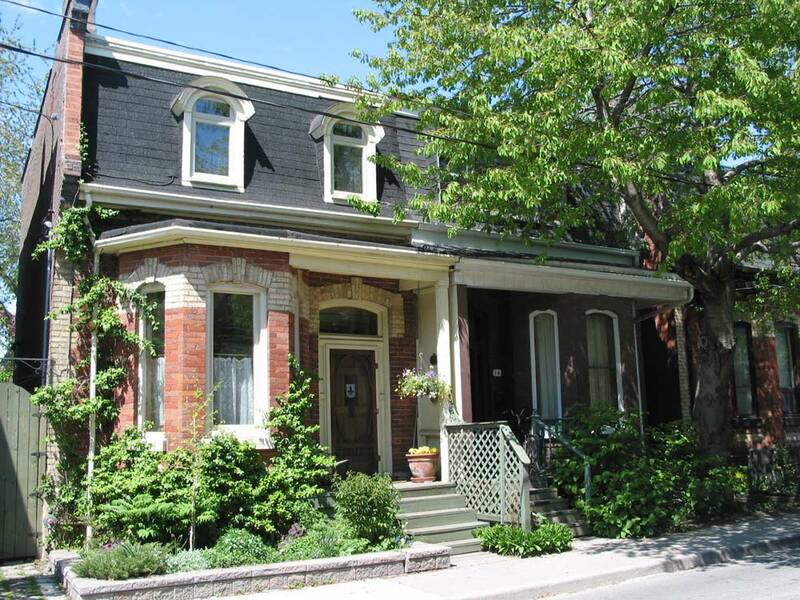 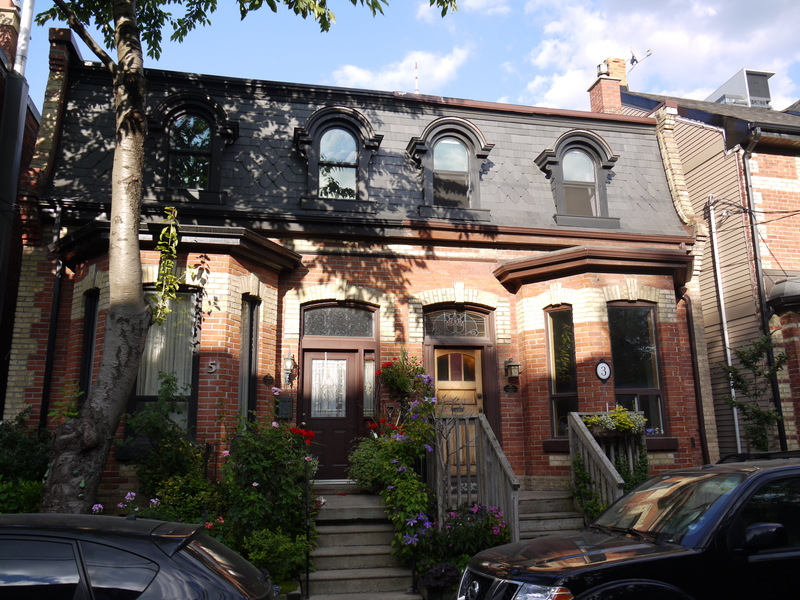 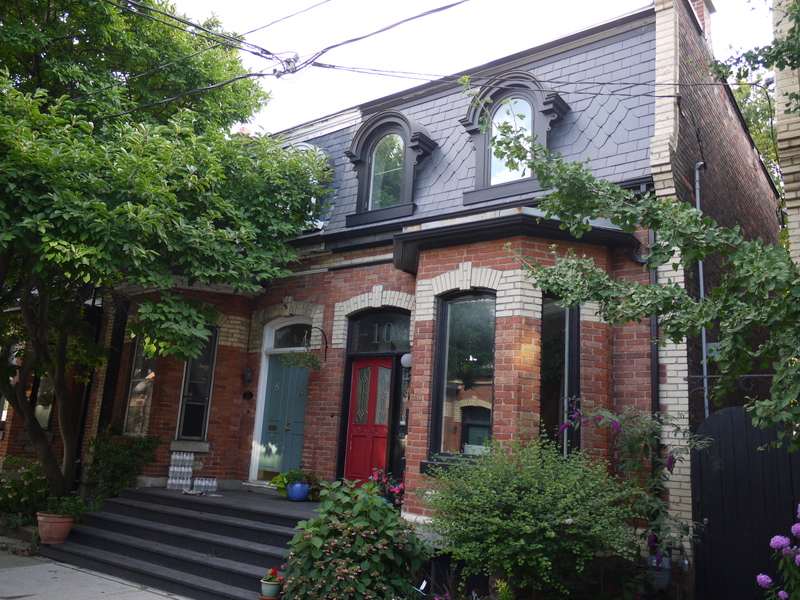 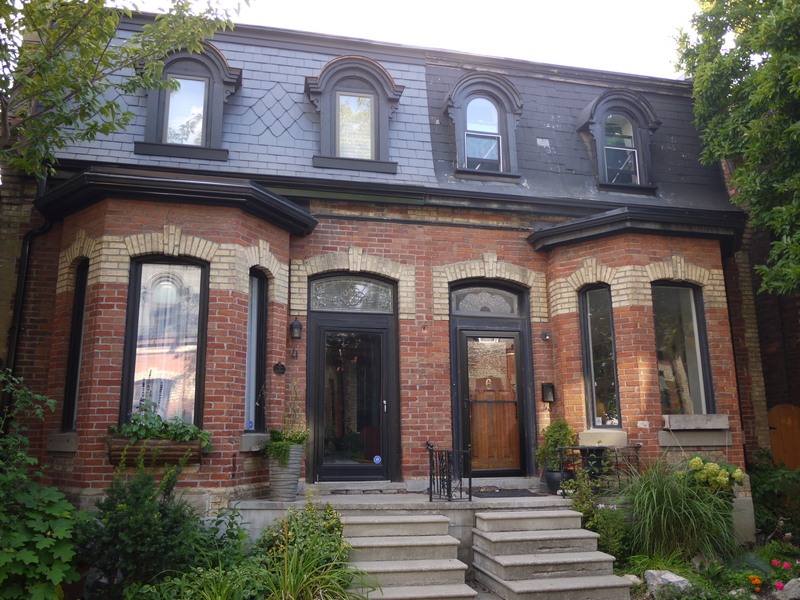 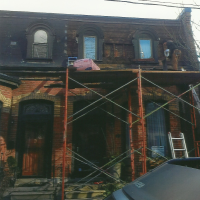 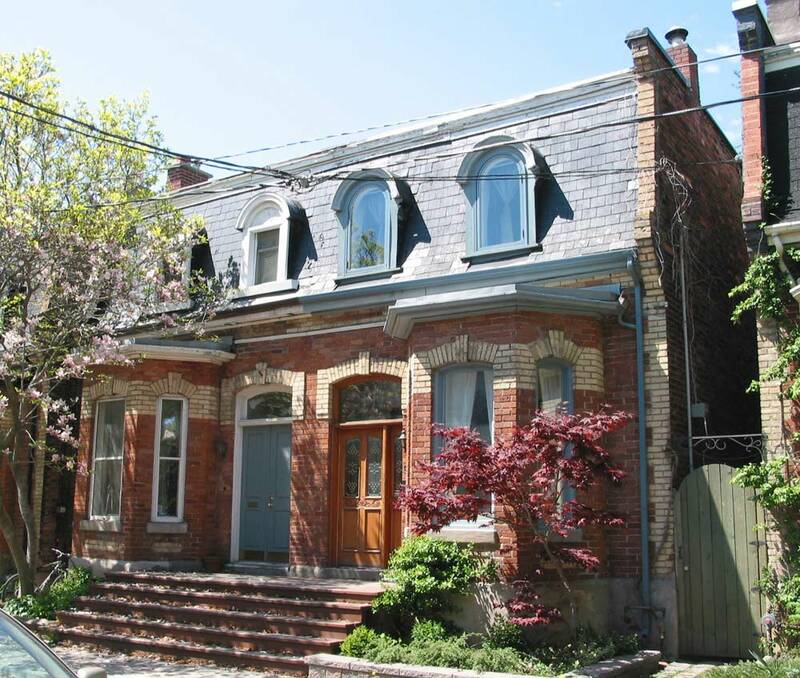 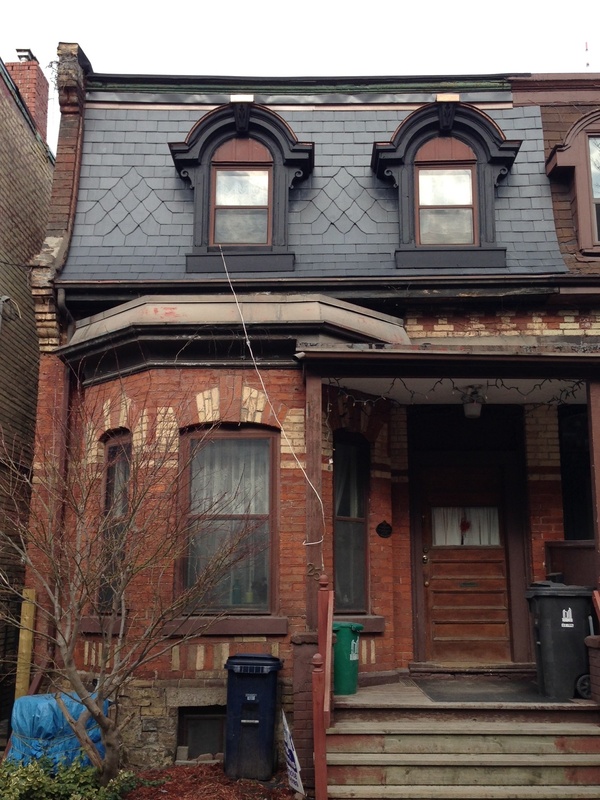 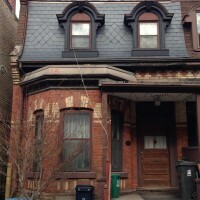 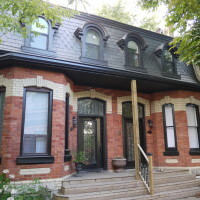 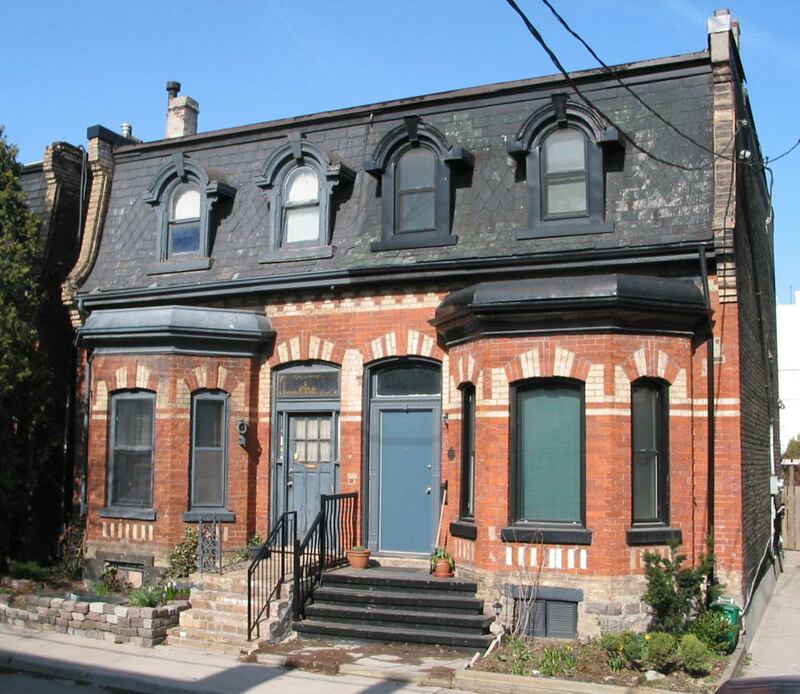 In conjunction with Heritage Preservation Services at the City of Toronto, the home owners of these second empire homes have awarded the restoration work to us at AE & Son each year. 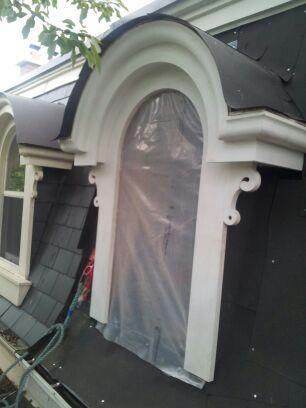 The work is close to completion now with only a few houses remaining. 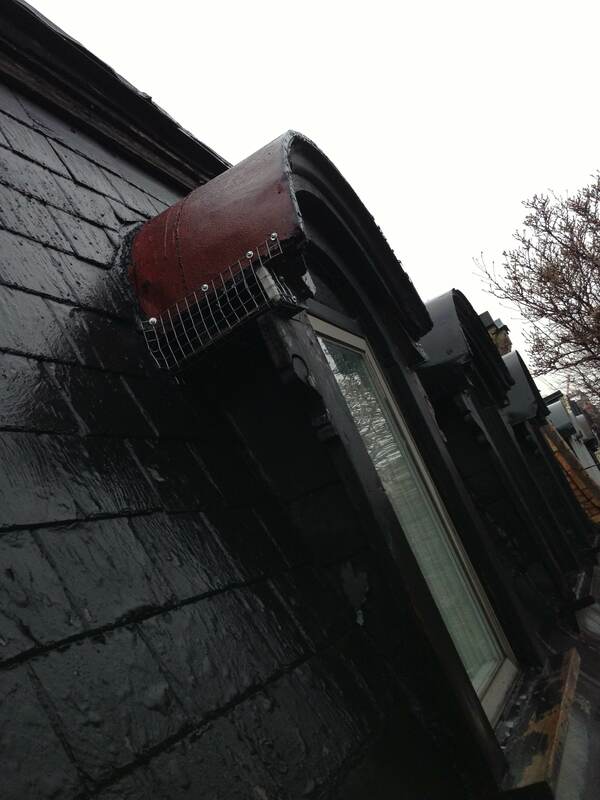 What better way to get an idea of the quality of our work than by taking a walk along Draper Street. 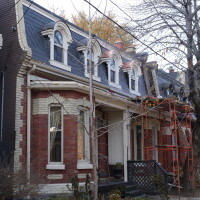 Please take a look at our before, after and during restoration photographs of Draper Street at the bottom of this page. 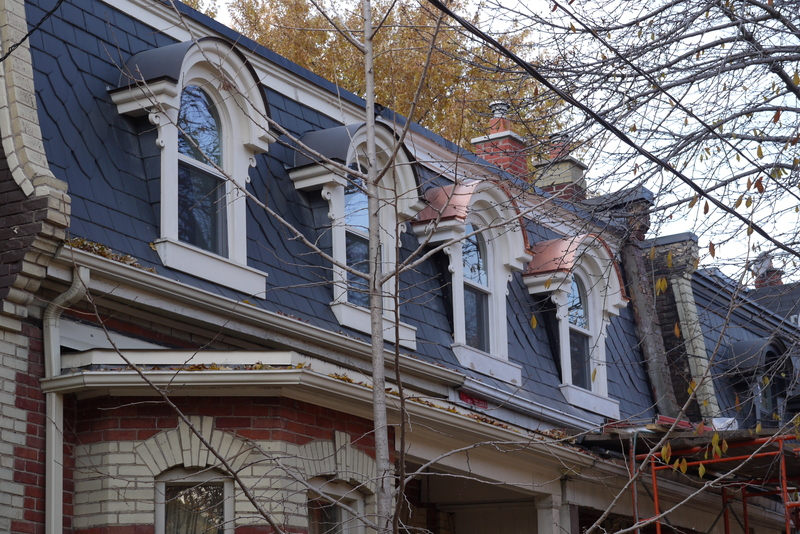 Without the help of Archie and all at AE&Son, the restoration of Draper St would not be where it is today. 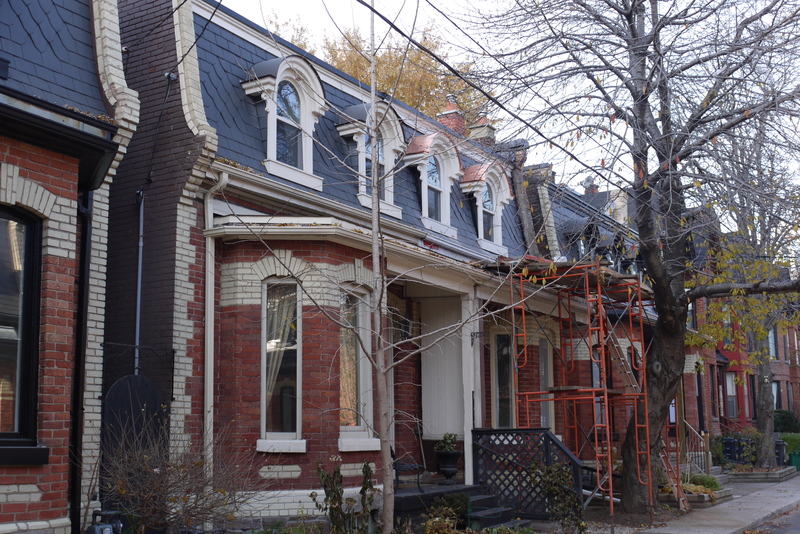 AE&Son worked with our community over the past several years, to date completing the restoration of sixteen of our nineteen Second Empire Victorian houses. 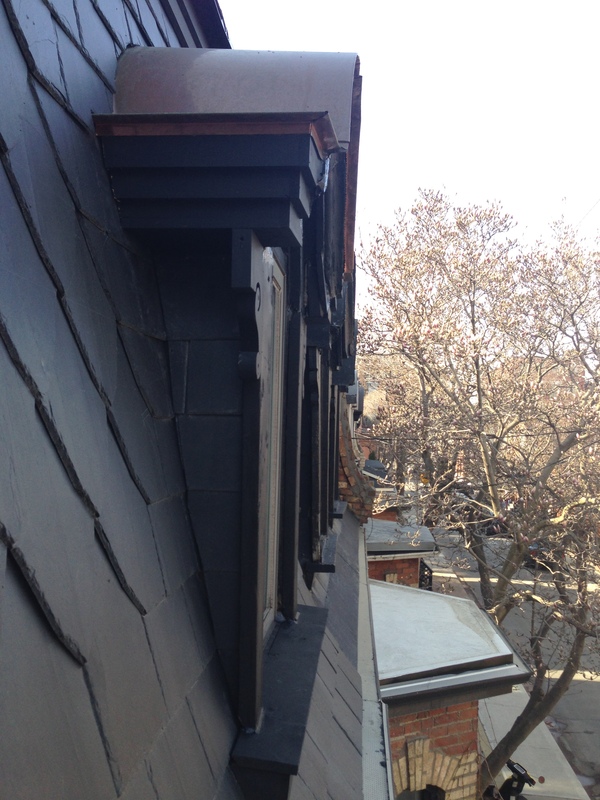 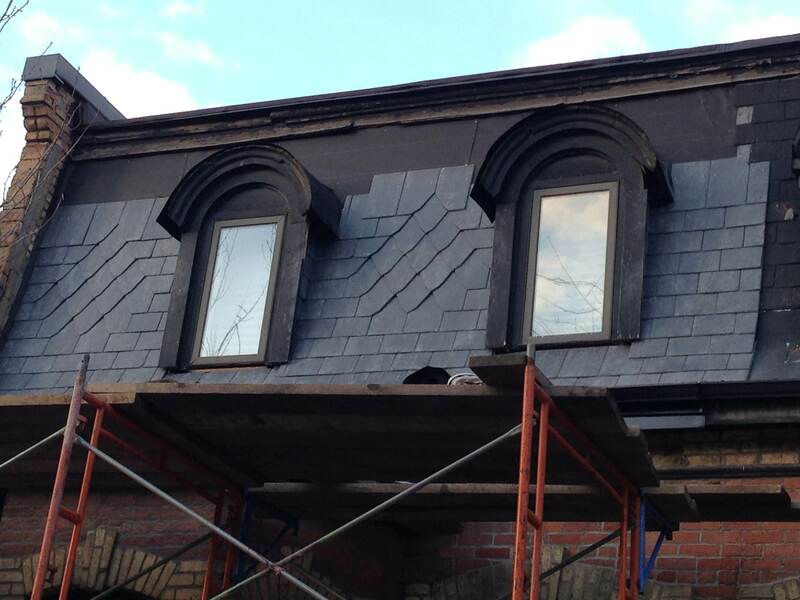 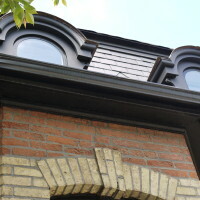 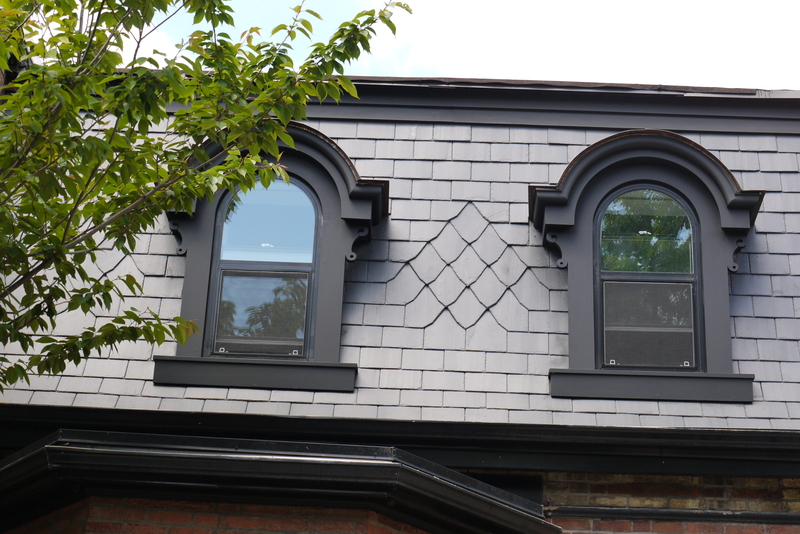 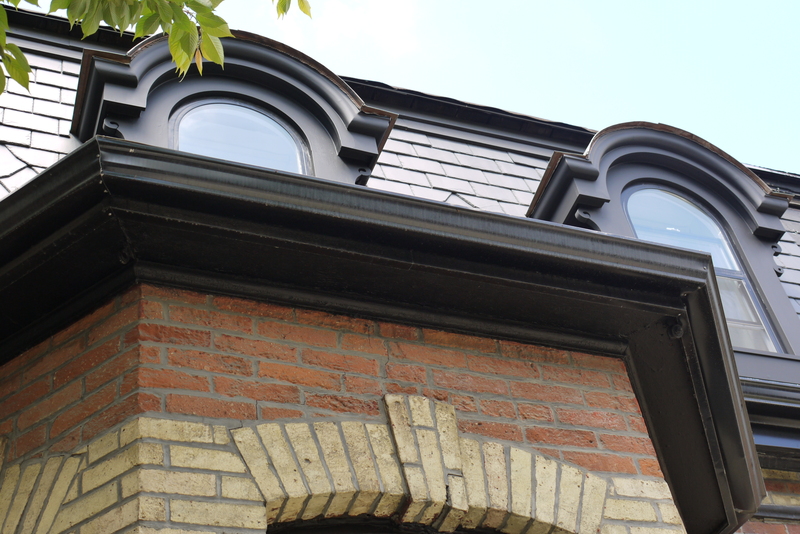 AE&Son painstakingly restored all the Mansard slate roofs and corresponding copper work above the dormer windows. 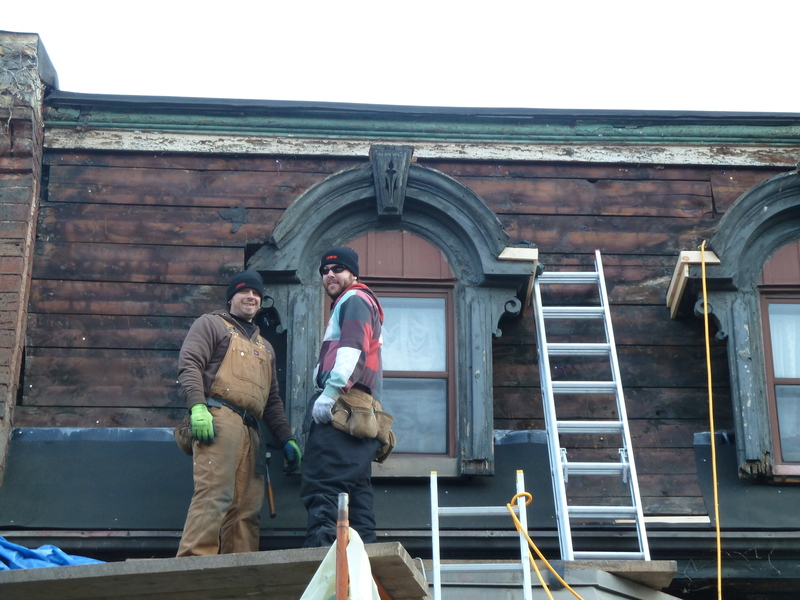 Finding skilled crafts people that can execute on the scale and complexity of this heritage preservation and restoration job is not easy. 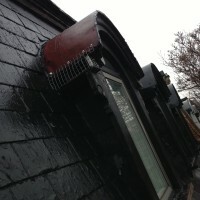 But the AE&Son team delivered quality throughout! 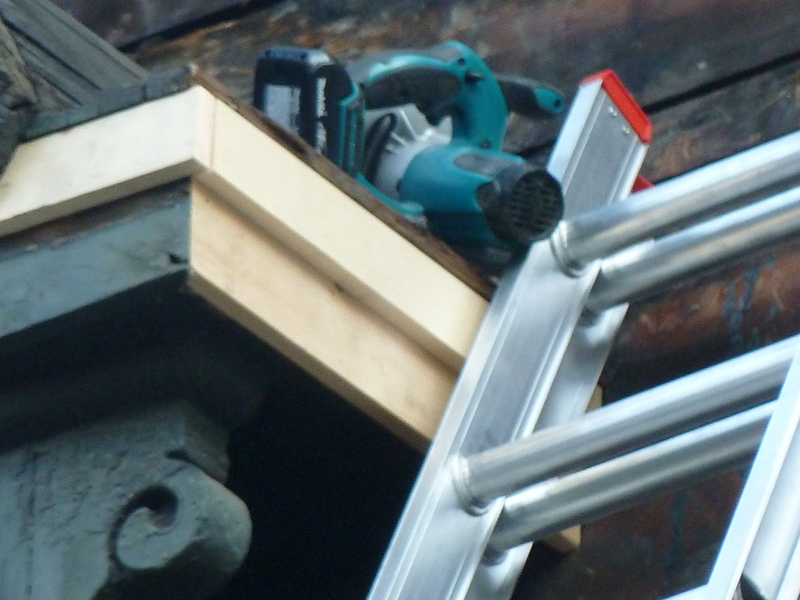 Please feel free to stroll along Draper Street and speak to the residents about the work performed by Archie and his team. 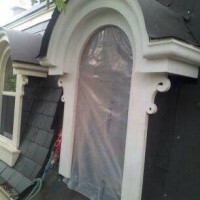 I’m sure you will hear nothing but praise!